MTV STAYING ALIVE FOUNDATION'S AIDS BENEFIT IN DALLAS: WE’RE THERE! 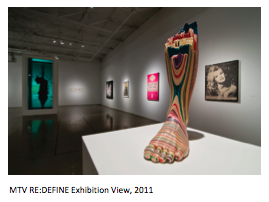 The MTV Staying Alive Foundation recently announced that its flagship RE:DEFINE benefit art exhibition and auction will return to Dallas in 2012. We can hardly wait. Hosted by the always-philanthropic Goss-Michael Foundation and chaired by Jessica Olsson and Anna-Sophia van Zweden, the public exhibition willlaunch on Thursday, September 13th 2012, culminating in the VIP gala auction on the evening of Saturday, September 22nd 2012. "After last year's incredibly successful inaugural event, we are thrilled to come back and partner once again with such renowned artists from around the world in support of the Foundation," said Georgia Arnold, Executive Director of The MTV Staying Alive Foundation. "Their enormous generosity and contribution will help us to continue to empower young people who are dedicated to fighting the stigma, spread and threat of the epidemic for many years to come." Money raised will go towards the Foundation's work empowering young people engaged in fighting the stigma, spread and threat of the HIV and AIDS epidemic through inspiring grantee projects around the world. MTV has long been engaged in the campaign to help prevent HIV and AIDS, as you know. Debuting in September 2011 to mark the 30th anniversary of AIDS, the sold-out VIP event raised over $700,000 for the charity, with original works of art from 30 prominent international artists including Damien Hirst, Tracey Emin, Harland Miller and Shepard Fairey, as well as an electrifying live performance from The Boxer Rebellion. It was a swell party indeed. 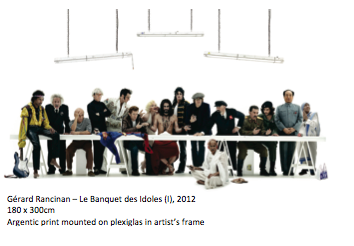 Curated again by The Future Tense, confirmed artists for 2012 include quite a line-up: Michael Craig-Martin, Gérard Rancinan, Ryan McGinness, Ralf Kaspers, Jim Houser, Mat Collishaw, Ryan Gander, Charming Baker, Tomokazu Matsuyama, Chuck Elliott, James Hugonin and Jen Stark. The accompanying silent auction features exclusive luxury packages including a bespoke furniture piece from 2011 Designer of the Year award winner, Lee Broom, a VIP package to the launch of Stella McCartney's new collection in New York, a unique series of art-inspired jewelry by Royal Asscher and a private concert orchestrated by Musical America's 'Conductor of the Year 2012', Jaap Van Zweden. In keeping with the inclusive nature of the event, the free public exhibition will include curator tours, previews and artist talks, and a major public art installation in Dallas by emerging British artist, Lee Baker. The VIP gala reception will feature an auction of key lots led by Phillips de Pury chairman, Simon de Pury, a painting performance by artist Dave White and an exciting live music act. Those unable to attend the auction in person will be able to place absentee bids via the Internet or telephone - please visit www.mtvredefine.com for more information. Support for RE:DEFINE 2012 comes from a range of premium partners including headline sponsor, The Joule Hotel, event sponsor Neiman Marcus, media sponsor D Magazine, luxury spirits sponsor Belvedere Vodka and gift bag sponsor IC Berlin.